Trouble Logging Into New ICAOS Dashboards? More than 35 new dashboards are available covering activity due dates, compliance performance, administrative oversight and compact activity history. 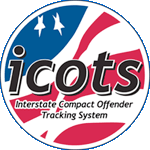 If a compact office needs to give access to the ICAOS Dashboards for someone that does not work in the compact office, the state's commissioner or DCA can email Xavier Donnelly at xdonnelly@interstatecompact.org. Trouble Logging in or Viewing New ICAOS Dashboards?